When Sadie Filipski heard an offer to assist in research that she knew would impact her eventual career as an elementary school teacher, she volunteered immediately. The topic: new financial literacy standards in Illinois mandated in 2016. The professor: Mary Beth Henning, a member of the faculty of the Department of Curriculum and Instruction and one of the state task force members who wrote the social science standards. Henning and colleague Tom Lucey, a professor in the School of Teaching and Learning at Illinois State University, had collected survey data over the last 18 months from 126 pre-service licensure candidates on their perceptions of the new standards. 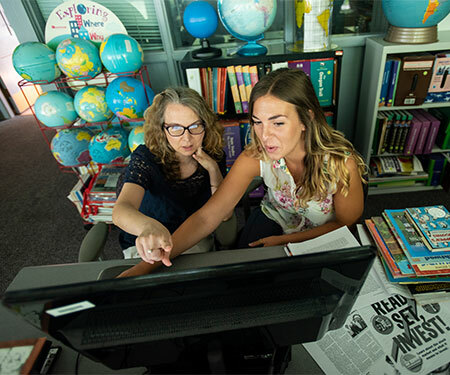 Filipski was one of three College of Education students who participated in the Summer Research Opportunities Program, which gives NIU undergraduates the opportunity to conduct paid, faculty-mentored, research during the summer months. Myiesha Hunt (Early Childhood Education) and Marvin Payton Jr. (Kinesiology) joined her Aug. 10 in presenting their work at the Summer Research Symposium, held in the Duke Ellington Ballroom of the Holmes Student Center. NIU’s Office of Student Engagement and Experiential Learning sponsored the event, which showcased undergraduates who have participated in faculty-mentored research, artistry or other engaged learning projects. 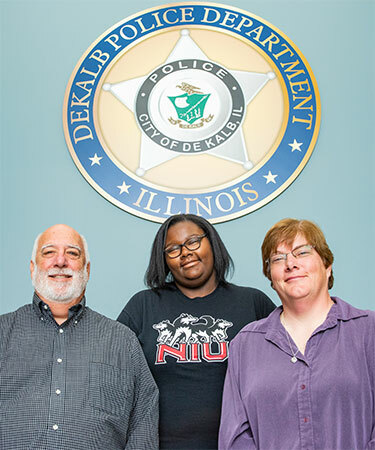 Hunt worked with NIU Sociology faculty Carol Walther and Jack King on a community project involving law enforcement and mental health services. 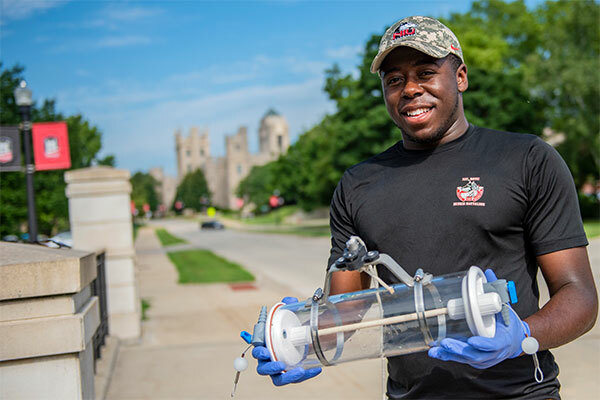 Payton, meanwhile, conducted water tests of the Kishwaukee River throughout DeKalb County with Department of Geology and Environmental Geosciences graduate student Surya Freeman. “I tested the quality of DeKalb water in the East Lagoon, other streams and rivers on campus and around DeKalb County,” says Payton, a sophomore. 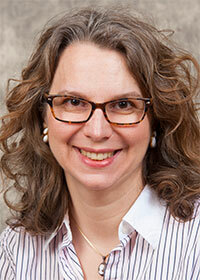 Filipski also is walking away with a deeper understanding of the research process. One of those innovations is teaching the financial literacy standards through the arts. “Sadie went the extra mile, looking for more multicultural artwork to share with elementary students that would help them better understand financial literacy,” says the professor, who formerly served as a co-director of the NIU Center for Economic Education.